"I order Kringle for every holiday. I first was introduced to your products when a customer bought them for our entire staff. We all loved it! What a great gift instead of chocolates or something like that. Our office staff all enjoyed the assorted Kringles that were bought and went from department to department tasting all the flavors the customer had ordered. LOL"
Looking for an easy and memorable gift? Try Kringle! We try to make submitting your list easy and we are always here to help! We recommend you send us your list in spreadsheet format so feel free to try our easy to use order form. 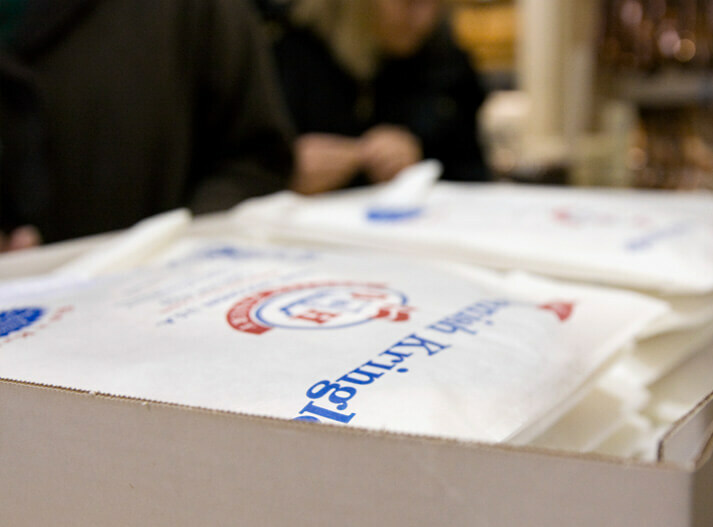 That helps us process your order faster and more reliably. If you can't send via spreadsheet, no big deal, we will work with you to get it right. We're a team, so we rely on you to please check and ensure the addresses are correct and your list have been proofed for any typos and errors. That way we get your gift to exactly the right person at the right place. Even so, sometimes no matter how diligent you are about sending your list error free and up-to-date, people move or are not where you expect them to be. If you supply an address that proves to be non-current, we handle the return, call you immediately, set up a new order and give you a discount on the reshipment. Teamwork! Our experience has shown us that gifts received early in December are fondly remembered. 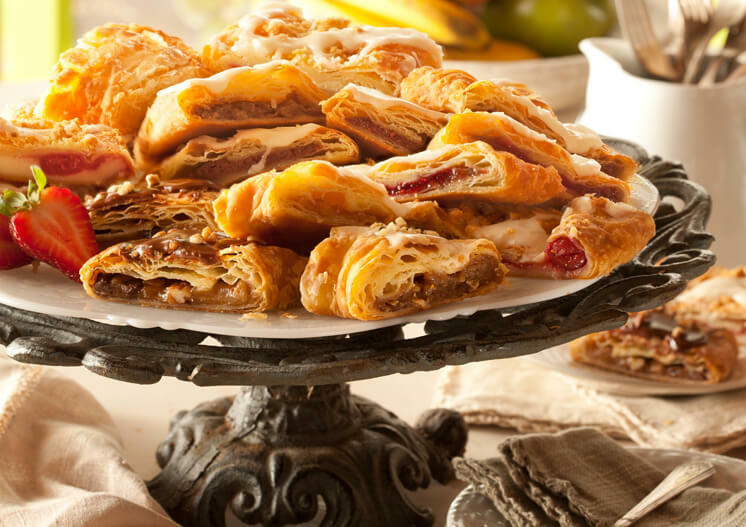 When the Kringle arrives in early December they are available to serve at upcoming office parties and gatherings for more to enjoy. The message you ask us to insert with the Kringle can even suggest that. An additional 3% discount is available for orders over $2,500.00 that are prepaid by check and received before shipment. This offer is not valid for orders received between November 17th, 2018 through December 26th, 2018. An additional 5% discount is offered for orders totaling $250.00 and over if your order is shipped between Monday, December 3rd, 2018 and Friday, December 7th, 2018. "I popped by and gave to my clients right before Christmas to have for breakfast and they are still calling, texting, raving about how delicious they are! Ordering online was so quick and simple, they were delivered right when expected, and packaged perfectly for individual gifts." "I gave this gift to my friend and Realtor. He sent me over eight messages thanking me and telling me how great they were. His family loved them and his son and daughter love both the pecan and the Apple Kringle whereas his wife went wild over the cream cheese. He loved all of them and wanted to know how this secret could have been kept from him for so long. No doubt he will be placing orders for his clients. Way to go Kringle." "The anticipation in our office, waiting for the yearly gift Kringle, is palpable. Here's a tip, don't fail to be at the office when it arrives or is opened because all sense of loyalty and fair play disappears. Coworkers will not save any for you. Shocking. So, I'm ordering one just for me, which will be consumed in front of them, offering zilch to their drooling and pleading whine."